The first step to house sitting success is choice of house sitting website. But if you don’t know the qualities to look for, choosing a site from among the plethora of platforms can be daunting, especially if you’re a first-timer. We help you recognise a good house and pet sitting website from the others. Here are the five qualities distinguish a good house sitting website from the others. Each of the house sitting sites showcased by Compare House Sitting™ reflect these qualities and provide House Sitters and Home Owners with an online meeting place of integrity. Consistently lists more Home Owner ads. Or will you join a house sitting site that attracts very few Home Owner ads? Worse still – a dormant site? For some years Compare House Sitting™ has been monitoring listings on all prominent house sitting sites. From this research we know which sites consistently list more home owner ads month by month, nationwide or world-wide, whatever the case may be. We also know which house sitting sites are attracting fewer home owner ads, and those that don’t get any. Removes home owner ad once house sitter(s) found. Or does the website allow home owner ads to remain listed for months, sometimes years, after the house sitting assignment has been filled? Not only does this practice artificially inflate the site’s home owner ads, it is unhelpful for house sitters searching for ‘open’ house sitting assignments. More and more house sitting sites are adopting this practice. Some sites indicate old home owner ads by “Inactive” or “Completed”, while others show the listing as greyed out. Either way, for newcomers to the world of house and pet sitting learning to navigate platforms, allowing old home owner ads to remain on public view can be a confusing time waster. Allows non-members to view ALL home owner ads. Would you pay for something without knowing exactly what it offers? There is a disturbing development among house sitting sites to restrict potential house sitters from seeing all home owner listings in advance of joining. These sites allow non-members to see some home owner ads, but viewing access to all is restricted, pending payment of the joining fee. Maintains a fair ratio of registered House Sitters to Home Owners. Or is competition fierce? Will House Sitters compete with dozens of keen sitters for house sitting assignments? And will Home Owners be inundated with more applications than they can manage? Anecdotal evidence suggests house sitting websites that charge both house sitters and home owners have a higher ratio of house sitters to home owners. This increases competition among house sitters. Most home owners only search for house sitter(s) once or twice a year. 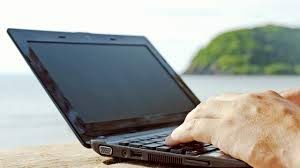 Many home owners question the need to pay to register on a house sitting site when reputable sites have been around for years where they can register and connect with house sitters, for free. Have an active Social Media presence. Or will you be joining a platform that neither shows its face or give members opportunity to interact with one another? Social media plays an important role, both in the creation of trust and ongoing education. Social media enables administrators of websites to engage with users, and empowers users to share experiences & discuss ideas for the benefit of the community at large. Yes you can connect with confidence! At Compare House Sitting™ we’re working hard to make sure consumers are informed about the house sitting websites in the marketplace. Are they doing a good job? Do they deliver on their promise? Is the site run by people or gremlins? You can read About us, here. Compare House Sitting™ is the ONLY resource dedicated to monitoring and reviewing house sitting websites. Our mission is to help others fast track house sitting success. We do this by pointing people in the direction of reliable house sitting sites so they avoid time-wasting trial and error and the frustration of thing not working as expected. These are the best regional sites for house sitting Australia, New Zealand, UK, USA, Canada and Mexico. Est 2000 House Carers was the world’s first global house sitting website.